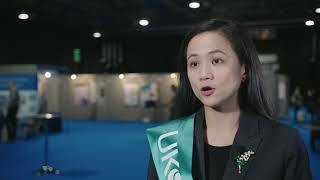 Mary Anne Tanay, cancer nurse at King’s College London, UK, discusses the need to examine what healthcare professionals know about chemotherapy-induced peripheral neuropathy (CIPN) and how they relay this information to patients. With the options for preventing or treating CIPN limited, it is necessary to figure out what clinicians can do to help patients, and how to make information relevant and effective for patients and the people around them. Recorded at the 2016 Annual Meeting of the Oncology Nursing Society (ONS), held in Brighton, UK.